The "uncatchable" Belmokhtar: Has the U.S. Finally Killed the Infamous Terrorist Known as “Mr. Marlboro”? Did the U.S. Finally Kill the Infamous Terrorist Known as “Mr. Marlboro”? Libya’s internationally recognized government says that veteran Islamist militant leader Mokhtar Belmokhtar was killed in a U.S. airstrike on Saturday. The U.S. hasn’t confirmed the kill yet but did confirm that he had been targeted. The caution is understandable. Belmokhtar was previously reported killed by Chadian troops in Northern Mali in 2013, but if the one-eyed gangster jihadist known variously as “the uncatchable” by the French military and Mr. Marlboro for his cigarette smuggling really has been killed, he would be the most significant figure taken out so far by America’s nascent counterterrorist campaign in war-torn Libya. The 43-year-old Belmokhtar is often described as an al-Qaida commander, but it’s a little more complicated than that. Born in eastern Algeria, he cut his teeth fighting with al-Qaida in Afghanistan, and then in his own country’s civil war in the 1990s. He was the founder of the group Salafist Group for Preaching and Combat, which later merged with al-Qaida in the Islamic Maghreb, (AQIM) the global terror network’s North African affiliate. 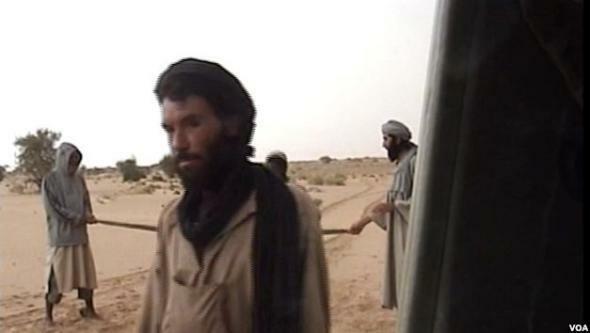 But Belmokhtar clashed repeatedly with AQIM’s local commanders. “Why do the successive emirs of the region only have difficulties with you? You in particular every time?,” they wrote to him in an amusingly tetchy—for a communiqué between mass murderers—letter in 2012. After AQIM stripped him of his command, he formed a new group known as Those Who Sign In Blood, and quickly became one of the region’s most infamous warlords, financing his activities through smuggling and kidnapping in Algeria, Libya, and Mali. Belmokhtar took full advantage of the chaotic power vacuum that appeared in Libya after the overthrow of Muammar al-Qaddafi as well as the weaponry left behind by his military. He became internationally famous in January 2013 after taking hundreds of Algerian and foreign workers hostage at an oil field in Eastern Algeria, demanding an end to the French military intervention in Mali as well as the release of militants detained in Algeria. Thirty-eight hostages including three Americans were killed during the rescue mission by the Algerian military. In February 2013, the Wall Street Journal reported that the U.S. was considering adding Belmokhtar to its targeted-killing list. This marked an expansion of the U.S. drone program, which until that point had operated mainly in Pakistan, Somalia, and Yemen. While acknowledging that Belmokhtar’s ties to al-Qaida were murky and that he was unlikely to ever pose a threat to the U.S. homeland, American officials argued that he was likely to plan more attacks against U.S. and Western interests in the region. “Mokhtar Belmokhtar is carrying out an al Qaeda agenda,” one intelligence official told the Journal. While he was a formidable operator, killing Belmokhtar may not have that much of a stabilizing effect in Libya, where numerous armed factions are vying for power and influence, including the recently arrived ISIS. The internationally-recognized government that reported Belmokhtar’s death doesn’t even currently control the capital, Tripoli. It’s based in the eastern town of Bayman. It’s also unclear how his possible death will play on the larger jihadist stage. Belmokhtar’s loyalties were a little blurry: Last year he stated that he supported al-Qaida global leader Ayman al-Zawahiri in his dispute with ISIS in Syria, but there were more recent reports that he had switched his allegiance to the Islamic State. Throughout his career, Belmokhtar has been more of an independent operator than a loyal foot soldier of any global movement—just the sort of figure to thrive in current chaos in parts of North Africa, though not exactly the most dangerous beyond them.